Miles Faulkner is a highly experienced and seasoned Business, Application and IT Services program/ project manager. He is an experienced Scrum Master , PMI and ITIL certified. He has extensive experience in both infrastructure and development environments. Managed Sun Microsystems Professional Services practices supporting Canadian Banks with significant infrastructure management responsibilities. Most recent work included the design and implementation of an enterprise ITIL compliant service framework for a major Canadian Bank. Miles has strong expertise in triage, incident and problem management. Miles is highly conversant with Atlassian products most especially Jira and Confluence. He is comfortable configuring and administering Jira and Confluence. In addition Miles can provide value added services in the best practices for Jora configuration to support software development, ITIL processes as well as project management. 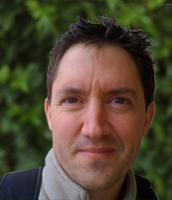 Martin Cleaver has provided Wiki-focused services since 2001, making Martin one of the world’s most established Wiki Consulting professionals. Martin performed his first wiki implementation at Arthur Andersen, where he was a manager specializing in Large Scale Integration projects, and in the years following provided solutions based on wiki platforms such as Confluence, TWiki, TikiWiki, Foswiki and Media Wiki. In addition to his B.Sc. and M.Sc. in Computing Science, Martin holds an MBA specializing in Organizational Development. Martin has been an invited conference speaker on the topic of Wikis, notably during KM World 2006, and Office 2.0, 2007 and City of Toronto Web2.0 Summit 2008. Martin runs Toronto Wiki Tuesdays, and Knowledge Workers Toronto, monthly meetups dedicated to issues and solutions solving knowledge work issues and using Wiki Technologies. Martin was Industry chair for WikiSym 2010, the International Conference on Wikis.